Moody’s Investors Service has today downgraded global shipping and logistics company Navios Maritime Holdings, Inc.’s (Navios Holdings) corporate family rating to Caa3 from Caa1, and its probability of default rating to Caa3-PD from Caa1-PD. Concurrently, Moody’s downgraded the rating on Navios Holdings’ $650 million senior secured first preferred ship mortgage notes to Caa2 from B3 and the rating on its $350 million senior unsecured notes to Ca from Caa3. 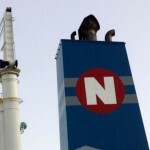 The outlook on all Navios Holdings’ ratings is negative. “Our downgrade of Navios Holdings’ ratings reflects its weak liquidity profile, as market conditions in dry bulk remain very difficult and the company’s free cash flow generation remains negative, increasing the risk of a distressed exchange or default in its interest payment obligations,” says Marie Fischer-Sabatie, a Moody’s Senior Vice President and lead analyst for the issuer. “The downgrade also takes into account its client Vale’s decision not to perform its largest contract with one of the group’s subsidiaries, which could result in reduced cash inflows from 2017 onwards,” adds Ms. Fischer-Sabatie. Today’s downgrade primarily reflects Navios Holdings’ weak liquidity profile, with continuing negative free cash flow generation driven by the very challenging dry bulk market conditions and corresponding low freight rates. This has increased the risk of a distressed exchange or default. It also factors in the decision by mining company Vale S.A. (Ba3 negative) not to perform its 20-year contract, signed in 2013 with Navios South American Logistics Inc. (NSAL), a subsidiary of Navios Holdings. NSAL believes that Vale’s position is without merit and states that it would take legal action if Vale were to fail to perform the contract. However, if the contract were to eventually not be performed or to be renegotiated, this could have a material effect on NSAL’s cash flows. Moody’s projects that growth in the supply of dry bulk capacity will still outpace demand growth in 2016 by around 2.5%. This is due to a high level of planned vessel deliveries and subdued demand growth, which will keep dry bulk rates at low levels. Dry bulk trade is highly dependent on China, and the country’s economic slowdown has been weighing on demand for dry bulk shipments. As a result, Moody’s currently has a negative outlook on the dry bulk sector. 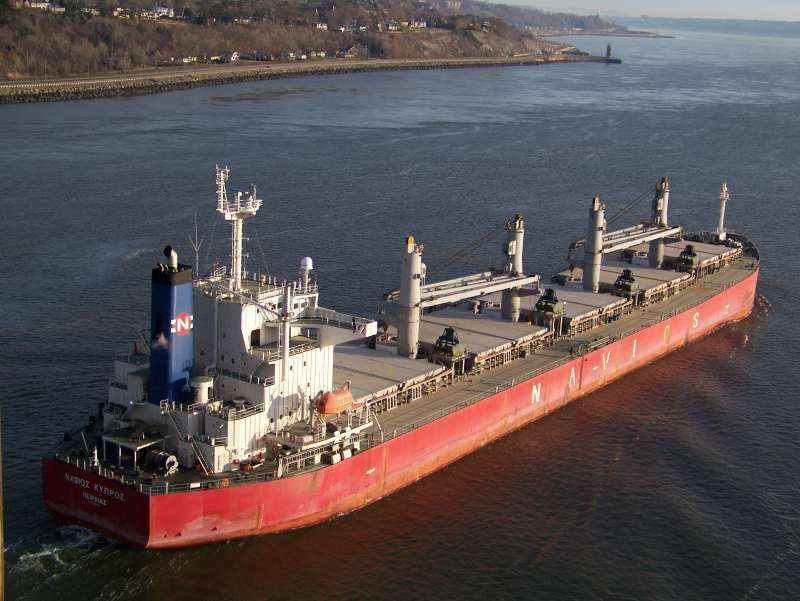 Considering the weak environment, Navios Holdings announced in February that it would also suspend dividend payments on its preferred stock ($16 million per annum), after suspending in November its approximately $25 million annual dividend payment on common stock. 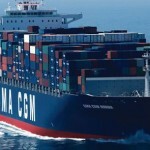 However, this action is offset by a dividend cut by its affiliate Navios Maritime Partners L.P. (Navios Partners, B2 stable), which has reduced cash inflow for Navios Holdings by around $30 million on an annual basis. Also, Navios Holdings recently terminated a $50 million loan that had been granted by its affiliate Navios Maritime Acquisition Corporation (Navios Acquisition, B2 stable) in March, after a law suit had been launched by one of Navios Acquisition’s shareholders. This has reduced Navios Holdings’ sources of liquidity and the company does not have any other credit line at its disposal. Moody’s expects that Navios Holdings’ liquidity profile will weaken during the course of 2016, as its cash balance will be consumed owing to negative free cash flow. Navios Holdings had a consolidated cash balance of $177 million at end-2015 (including $82 million at NSAL) and Moody’s projects that cash flow from operations will be close to zero. During 2016, Navios Holdings’ liquidity needs will also comprise capital expenditures of around $160 million, of which around $100 million relates to NSAL and $60 million relates to new-build vessels. Part of the capital expenditures will nevertheless be funded with drawings under two committed financing lines of $40 million and $36 million, respectively. Looking at Navios Holdings’ liquidity on a standalone basis (excluding NSAL), Moody’s estimates that it could run out of cash within the next 12 months. The company’s alternative liquidity sources are dependent on the financial flexibility of its subsidiaries, as most of the dry bulk assets are encumbered already. 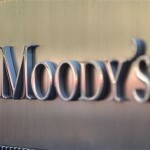 However, Moody’s believes that recourse to its subsidiaries appears today more remote due to either weaker performance of some of them, or to opposition from some shareholders to financial support. The negative outlook reflects the risk of further pressure on Navios Holdings’ rating if market conditions remain unchanged and liquidity further weakens. Navios Holdings’ rating could be upgraded if market conditions in dry bulk improve, resulting in the company returning to positive free cash flow generation, and if its liquidity profile improves. Equally, a restructuring of the current debt, including a distressed exchange of existing notes, that would result in a more sustainable capital structure for the company, could lead to an upward revision of our rating. Navios Holdings’ rating could be downgraded if (1) its liquidity profile further weakens; (2) its probability of default increases; or (3) Moody’s recovery expectations for bondholders further worsen. The principal methodology used in these ratings was Global Shipping Industry published in February 2014. Please see the Ratings Methodologies page on www.moodys.com for a copy of this methodology. Navios Holdings, which is listed on the New York Stock Exchange, is a global shipping and logistics company. 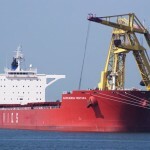 In addition to its own operations in the transport of dry bulk commodities, Navios Holdings owns a 63.8% stake in the logistics company NSAL and various minority stakes, including (1) a 20.1% stake in the dry bulk and container shipping company Navios Partners; (2) a 46.6% economic interest in the tanker company Navios Acquisition and (3) an indirect economic interest of 28.3% in Navios Maritime Midstream Partners LP. In 2015, Navios Holdings generated revenues of $497 million and EBITDA of $133 million (as reported by the company).